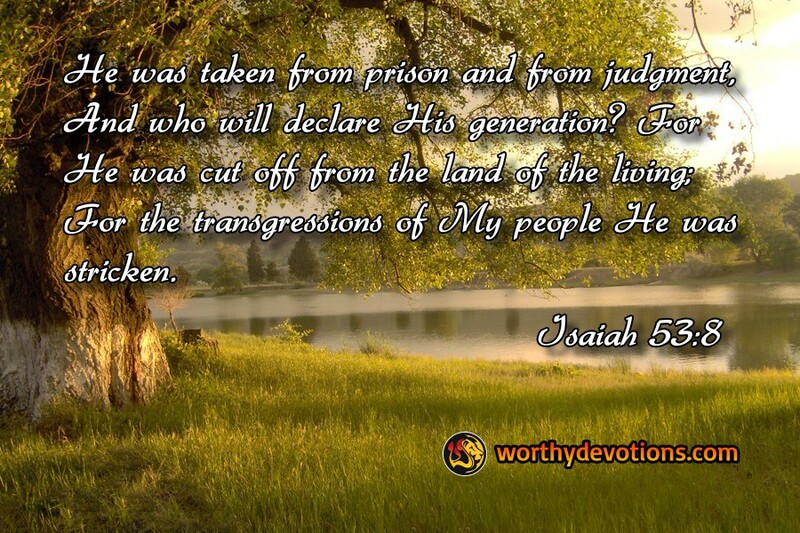 Isaiah 53:8-9 He was taken from prison and from judgment, And who will declare His generation? For He was cut off from the land of the living; For the transgressions of My people He was stricken. And they made His grave with the wicked-- But with the rich at His deaths [plural in the Hebrew], Because He had done no violence, Nor was any deceit in His mouth. Acts 3:15 and killed the Prince of life [in Hebrew, lives], whom God raised from the dead, of which we are witnesses. I like to look at this passage as a reminder that Yeshua suffered death for me, personally, but also for every one else who would believe in Him. Since we all died with Him on the cross as He died to sin, it could be said that He suffered many deaths for all those He loved. Tracing the parallel to the Acts passage we can understand why it says there that He was the "Prince of Lives". The phrase is "sar ha-chaim" in the Brit Hadashah (Hebrew New Testament), indicating a plurality of life. In His suffering of deaths, He became the Prince of lives! How many lives did He save? How many kinds of life? We'll find out someday....maybe. Yeshua's death was complete; a finished work of comprehensive grace; totally effective and absolutely personal. His resurrection was equally full, final and personal -- through Him we died to sin, and need no longer walk in it; and through Him we live to God, and can walk in newness of life, abundant life -- for He truly is the Prince of Life!